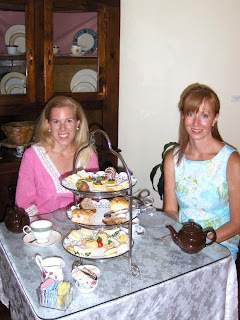 Leesa and I recently enjoyed the most lovely afternoon at Serenity Tea room. The company, the service, and the food were all outstanding. The tea menu is quite extensive and I loved it that we were able to sample different teas after finishing our first pot. I had the hibiscus tea and Leesa loved her mango flavored tea. We started our tea with a cold cucumber soup which was perfect for the hot and humid day. From there, we enjoyed so many sandwiches, scones, baked goods, and sweets. The chicken salad is amazingly good and the other finger sandwiches are suprisingly very filling. We couldn't even finish all of our food! 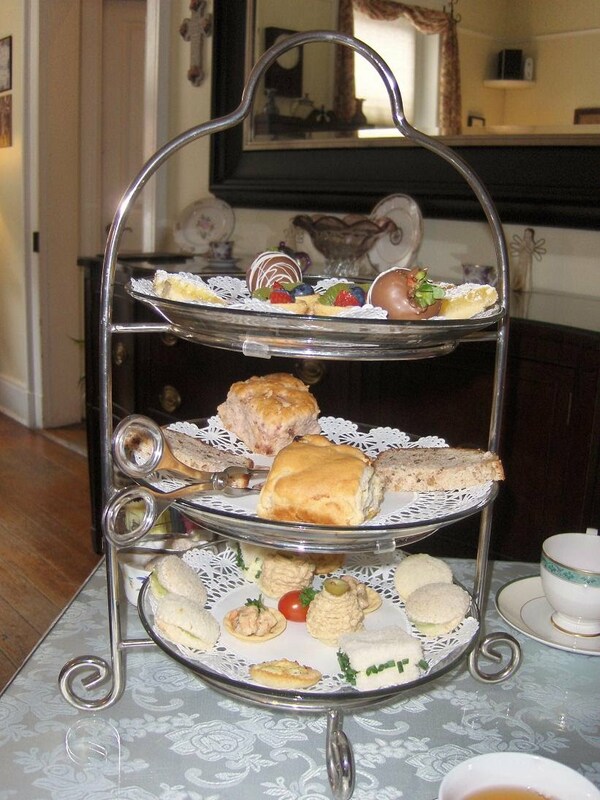 Of course the scones are served with homemade preserves and clotted cream. Probably my favorite was a bread that had a crunchy praline glaze on the top. Soooo good! Tea is always so lovely and is a great way to spend a leisurely afternoon. Thanks to Leesa for her company. I hope that we can have tea again in the future. In other, less serene thoughts, I'm going a little crazy about my Lilly Pulitzer.com order from Tuesday morning at 10 a.m. Yes, I'm sure that they are very busy, but my order has been "released for shipment" since LAST Tuesday. My emails have gone completely unanswered. I called customer service yesterday after school and was on hold for 30 minutes listening to that Boogie song that I never want to hear again before someone assured me that my order was "fine" and that they expect it to ship "soon," but couldn't give me any date when that would be. Patience is a virtue; I'm seriously trying to be patient with the company I love, but this is getting a little ridiculous. I love afternoon tea. There is a great tea place in New York that I miss dearly. As soon as I step foot on Manhattan soil, I'm back there! Also, after much drama and waiting through that horrid song on Lilly Pulitzer, I was able to get an order placed. My order was released for shipment only today. It looks like a small amount of people on the facebook fan page haven't received theirs either yet, so I while it is super annoying that we haven't received our things yet (I was planning on wearing the polo I ordered to a shower this weekend), I wouldn't stress over it too much yet. Easier said than done. Love tea time. We have a little tea room as well and I love it. I'm with Preppy Girl Meets World - that SONG...oh my goodness, do they not have a playlist? It took a while for my order too, but they finally shipped and I got one yesterday and hopefully should get the other 2 today. I would call and complain for sure! Is this in your neck of the woods? I wanna go. I also want to do tea at the Ritz in Crystal City sometime. I wish we had a fun tea room in town! What a cute idea. I LOVED going for afternoon tea while I was in London. I wish there was a tea room around here! That sounds like the perfect little business too! That food looks delicious too! La Jolie Grandmere used to take me for tea at the Plaza and to Rumplemeyers which was just around the corner... love love love tea! I should meet some girlfriends out for tea one day! You two are adorable and you have a certain glow my friend! the girls and I love tea. I've been looking for a room near us glad I found this post! cute blog!